FEW tasks are more exasperating than trying to assemble flat-pack furniture from IKEA. But even that is simple compared with piecing together the accounts of the world's largest home-furnishing retailer. Much has been written about IKEA's remarkably effective retail formula. The Economist has investigated the group's no less astonishing finances. What emerges is an outfit that ingeniously exploits the quirks of different jurisdictions to create a charity, dedicated to a somewhat banal cause, that is not only the world's richest foundation, but is at the moment also one of its least generous. The overall set-up of IKEA minimises tax and disclosure, handsomely rewards the founding Kamprad family and makes IKEA immune to a takeover. And if that seems too good to be true, it is: these arrangements are extremely hard to undo. 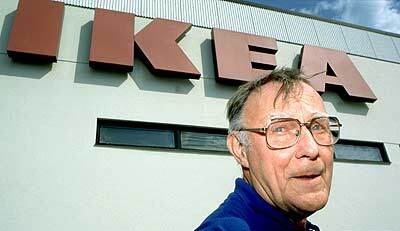 The benefits from all this ingenuity come at the price of a huge constraint on the successors to Ingvar Kamprad, the store's founder (pictured above), to do with IKEA as they see fit. Although IKEA is one of Sweden's best-known exports, it has not in a strict legal sense been Swedish since the early 1980s. The store has made its name by supplying Scandinavian designs at Asian prices. Unusually among retailers, it has managed its international expansion without stumbling. Indeed, its brand—which stands for clean, green and attractive design and value for money—is as potent today as it has been at any time in more than 50 years in business. The parent for all IKEA companies—the operator of 207 of the 235 worldwide IKEA stores—is Ingka Holding, a private Dutch-registered company. Ingka Holding, in turn, belongs entirely to Stichting Ingka Foundation. This is a Dutch-registered, tax-exempt, non-profit-making legal entity, which was given the shares of Mr Kamprad in 1982. Stichtingen, or foundations, are the most common form of not-for-profit organisation in the Netherlands; tens of thousands of them are registered. Most Dutch stichtingen are tiny, but if Stichting Ingka Foundation were listed it would be one of the Netherlands' ten largest companies by market value. Its main asset is the Ingka Holding group, which is conservatively financed and highly profitable: post-tax profits were €1.4 billion ($1.7 billion)—an impressive margin of nearly 11% on sales of €12.8 billion—in the year to August 31st 2004, the latest year for which the group has filed accounts. Valuing the Inkga Holding group is awkward, because IKEA has no direct competitors that operate globally. Shares in Target, a large, successful chain of stores in the United States that makes a fifth of its sales from home furnishings, are priced at 20 times the store's latest full-year earnings. Using that price/earnings ratio, the Ingka Holding group is worth €28 billion ($36 billion). This is probably conservative, given IKEA's growth prospects. Sales—the only financial information that IKEA releases—for the year to August 31st 2005 were €14.8 billion, 15.6% up on a year earlier. And there is plenty of scope for more stores. Ingka Holding has only 26 outlets in America. By contrast, in Europe, a market of comparable size, it has over 160, accounting for more than 80% of its total turnover. In April IKEA opened its first store in Japan. 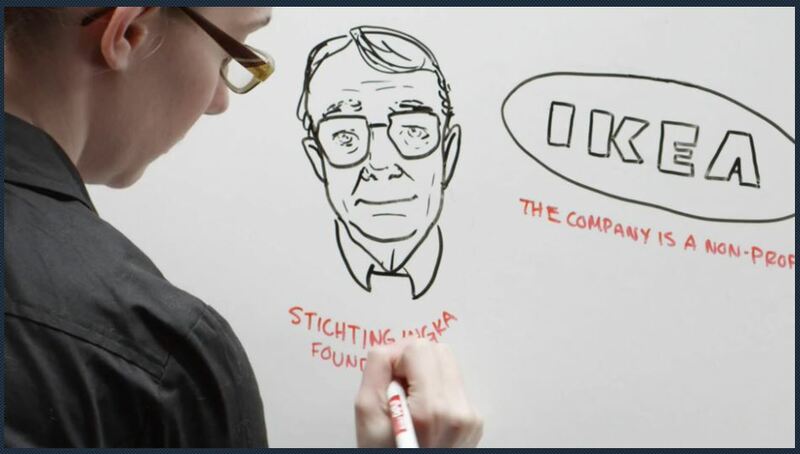 If Stichting Ingka Foundation has net worth of at least $36 billion it would be the world's wealthiest charity. Its value easily exceeds the $26.9 billion shown in the latest published accounts of the Bill & Melinda Gates Foundation, which is commonly awarded that accolade. Measured by good works, however, the Gates Foundation wins hands down. It devotes most of its resources to curing the diseases of the world's poor. By contrast the Kamprad billions are dedicated to “innovation in the field of architectural and interior design”. The articles of association of Stichting Ingka Foundation, a public record in the Netherlands, state that this object cannot be amended. Even a Dutch court can make only minor changes to the stichting's aims. The Kamprad foundations compare poorly with the Gates Foundation in other ways, too. The American charity operates transparently, publishing, for instance, details of every grant it makes. But Dutch foundations are very loosely regulated and are subject to little or no third-party oversight. They are not, for instance, legally obliged to publish their accounts. Under its articles, Stichting Ingka Foundation channels its funds to Stichting IKEA Foundation, another Dutch-registered foundation with identical aims, and which actually doles out money for worthy interior-design ideas. But the second foundation does not publish any information either. So just how—or whether—Stichting Ingka Foundation has spent the €1.6 billion that it collected in dividends from Ingka Holding in 1998-2003 remains hidden from view. IKEA says only that this money is used for charitable purposes and “for investing long-term in order to build a reserve for securing the IKEA group, in case of any future capital requirements.” IKEA adds that in the past two years donations have been concentrated on the Lund Institute of Technology in Sweden. The Lund Institute says it has recently received SKr12.5m ($1.7m) a year from Stichting Ikea (which also gave the institute a lump sum of SKr55m in the late 1990s). That is barely a rounding error in the foundation's assets. Clearly, the world of interior design is being tragically deprived, as the foundation devotes itself to building its own reserves in case IKEA needs capital. Although Mr Kamprad has given up ownership of IKEA, the stichting means that his control over the group is absolutely secure. A five-person executive committee, chaired by Mr Kamprad, runs the foundation. This committee appoints the boards of Ingka Holding, approves any changes to the company's statutes, and has pre-emption rights on new share issues. Mr Kamprad's wife and a Swiss lawyer have also been members of this committee, which takes most of its decisions by simple majority, since the foundation was set up. When one member of the committee quits or dies, the remaining four appoint his replacement. In other words, Mr Kamprad is able to exercise control of Ingka Holding as if he were still its owner. In theory, nothing can happen at IKEA without the committee's agreement. That control is so tight that not even Mr Kamprad's heirs can loosen it after his death. The foundation's objects require it to “obtain and manage” shares in the Ingka Holding group. Other clauses of its articles require the foundation to manage its shareholding in a way to ensure “the continuity and growth” of the IKEA group. The shares can be sold only to another foundation with the same objects and executive committee, and the foundation can be dissolved only through insolvency. Yet, though control over IKEA is locked up, the money is not. Mr Kamprad left a trapdoor for getting funds out of the business, even if its ownership and control cannot change. The IKEA trademark and concept is owned by Inter IKEA Systems, another private Dutch company, but not part of the Ingka Holding group. Its parent company is Inter IKEA Holding, registered in Luxembourg. This, in turn, belongs to an identically named company in the Netherlands Antilles, run by a trust company in Curaçao. Although the beneficial owners remain hidden from view—IKEA refuses to identify them—they are almost certain to be members of the Kamprad family. Inter IKEA earns its money from the franchise agreements it has with each IKEA store. 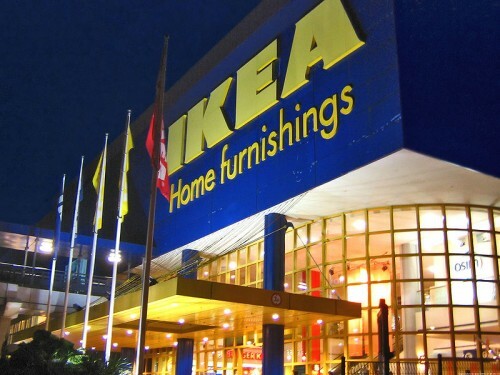 These are extremely lucrative: IKEA says that all franchisees pay 3% of sales. The Ingka Holding group, the company owned by the Kamprad foundation, is the biggest franchisee, with its 207 stores; other franchisees run the remaining 28 stores, which are mainly in the Middle East and Asia. How much money does Inter IKEA Systems make? Its results are included in its parent company's accounts filed in Luxembourg. These show that in 2004 the Inter IKEA group collected €631m in franchise fees and made pre-tax profits of €225m. This profit is after deducting €590m of “other operating charges”. Although IKEA would not explain these charges, because its policy is not to comment on the accounts of a private group of companies, Inter IKEA appears to make large payments to I.I. Holding, another Luxembourg-registered group that is almost certain to be controlled by the Kamprad family and which made a profit of €328m in 2004. Together these companies had nearly €11.9 billion in cash and securities at the end of 2004, even after I.I. Holding paid out a dividend of nearly €800m during the year. Most of this money has undoubtedly come from the collection of franchise fees. In total, these two groups suffered tax bills of a mere €19m in 2004 on their combined profits of €553m. Clearly, the Kamprad family pays the same meticulous attention to tax avoidance as IKEA does to low prices in its stores. The IKEA financial system of stichtingen and holding companies is extremely efficient. Even so, next time you wonder how anyone could have come up with the fiendish plans for a Hensvik storage unit or a Bjursta sideboard, spare a thought for the Kamprads' accountants. Also, see the wikipedia article.